In the routine of the day-to-day, promoting your business often falls by the wayside. Yet, promotion is the easiest way to expand your lead pool. If you haven’t already, start thinking about how you can leverage social media. Research which platforms your target audience engages with and start promoting through those channels. This could be either Facebook, Instagram, Twitter or all of them, the key thing is to post engaging content regularly and monitoring which channels and posts get the most engagement. A strong website, optimised for mobile, and one that captures email addresses is also important. Having an email list for email marketing is a must so you can access your customers directly. Social media platforms like Facebook usually change their rules and algorithms so it’s important to not just rely on them. Also consider writing a blog to attract new customers as static websites don’t attract the attention of leads. When you publish in-depth blog posts that help potential customers solve their problems, they come to trust you and respect you as an expert in the field. If they want more help than a blog post can offer, then they’re likely to be interested in engaging with your business. When starting out in small business, it is easy to set lower rates in order to secure business, but if you find yourself working harder and harder for your customers, then you also need to own that value. Revamp your strategy and raise your rates in order to hit the right target audience. If you raise your value, you will find the quality of your clients will rise too. Customers who only want to buy from you because you are the lowest cost provider will treat you as such. These “bottom of the barrel” clients will expect the world from you, blame all of their problems on you and leave you for a competitor in a heartbeat if they are so price driven. Instead raise your prices and position yourself as the best at what you do to attract clients who appreciate your unique offering. They are also more likely to stay loyal. If you want to expand your market or appeal to a more higher paying customer then now is the time to do a complete brand overhaul, including a new name and a refresh of logos, fonts, color schemes, marketing collateral and business cards etc. When you go through this process also think about your value proposition. It’s important that you refine what your brand currently represents and that it appeals to the audience you want to target. You should also look at refreshing your website look, feel and content and it is a critical component of your brand, and as your marketing strategy evolves, your site should as well. If you commit to taking these three resolutions into the year ahead, you are positively positioning your business for success. 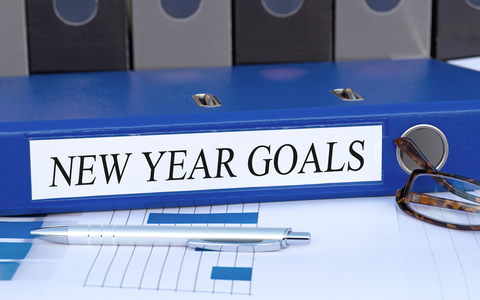 These resolutions can give you a focus and re-energise you to drive your business forward and evolve every year. Kwik Kopy is a corporate design and print solutions company which provides services including graphic design, business card and stationery printing, brochure and catalogue printing, as well as posters, banners and signage for small to medium sized businesses. Kwik Kopy Australia was established in 1982 as a Master Licence holder from Kwik Kopy Corporation U.S.A and has grown to operate over 90 franchises throughout Australia today.